Genuine Peridot & White Diamond Ring Only $22 Shipped! You are here: Home / Great Deals / Genuine Peridot & White Diamond Ring Only $22 Shipped! 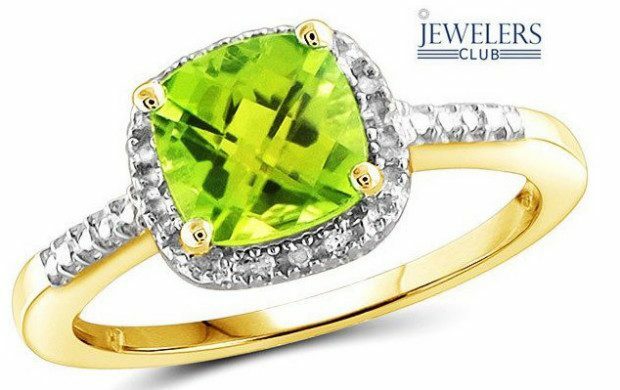 You’ll love the vibrant color of the peridot stone and the glisten diamonds that surround this ring! Get pretty in peridot when you wear this fantastic Green with Envy 1.5ct Genuine Peridot & 0.05ctw White Diamond Ring in Sterling Silver. Only $20 plus $2 Shipping, it’s the perfect piece for any occasion!